Investing in property can make people rich, this is fact! But, there are some myths that make people stop their step from begin their property investment journey. So, what are those myths? The Excuse It needs money to make more money. The Truth You don’t need money to make more money. The smart property investors don’t use their own money to invest in property. A good cash positive property deal at 30% below market value (BMV) will always attract finance from the banks. The Cure Make sure your investors/ lenders understand your business to source a 100% finance for your BMV properties. The Excuse I have to takes more time on property investing, and sacrifice my family time is unavoidable. The Truth Time management is in your control and has more to do with your priorities and relationships in life. Most people spending too much time on low priority actions such as watching TV and little time working on their business and relationships. The Cure You need to figure out what are your priorities and make sure it’s help for your future (either business or personal matter). You need to be wise to use your time to build your property investment business. The Truth BMV properties are everywhere if you know where to look for. BMV properties are available in all property cycles and not only in negative property cycles. Most BMV properties come from motivated sellers for different reasons such as job relocation, divorce, new business ventures, emigration and many more. The Cure Build your own unique BMV property sourcing system that works best for you in your specific market. For example, engage with the local property agents or join the related group to get the first-hand information. The Truth Most property investors wait for ever to get that one best deal. You don’t need contacts to get one of the numerous best deals around. If you loose one best deal, the next one is just around the corner. The Cure All you need to do is source your own BMV deals, do the numbers and go get the deal. Of course, negotiation skill is essential. I heard that the property investors out there are losing money each day and even losing their properties in negative property cycles due to the high cash flow shortfalls. The Truth Whatever you belief will be correct. Listening to advice from pessimists will make you become a pessimist. Cash positive properties are in abundance. The Cure Educate yourself and do the research to determine your returns. Don’t accept the advice from people who don’t have a more successful property investment business than you do. The yields on property investment barely beat the inflation rate and will never make me financially free. The Truth History shows us that property prices have on average doubled in value over every 5-7 years. In other words, if you have a RM 1 million property investment portfolio today (2009), it could be worth RM 2 million in 2016 and RM 4 million by 2023. The Cure What are you waiting for? I know lots of property investors lost millions in property. The Cure You have to educate yourself first before even started planning your investment portfolio. Make sure you understand all the possible risks of each of your property investments. I have no idea where should I start and it requires lost more property investing experience. The Truth You will never learn everything but you can quickly learn enough to do your first deal. You only gain experience in property investing by take action and doing deals as each deal will not be same. The Cure After you have educated yourself and get the basic property investment knowledge, you can slowly start to plan for your investment portfolio and find the deal. It will probably not be the best deal you will do in your property investment career, but it will be the most important step on the experience ladder to financial freedom. 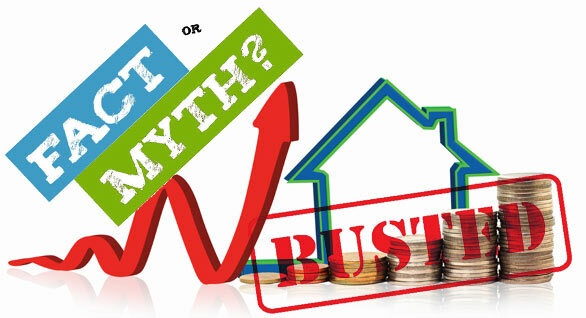 Now we have clear all the myths of property investment for you, what you are waiting for?